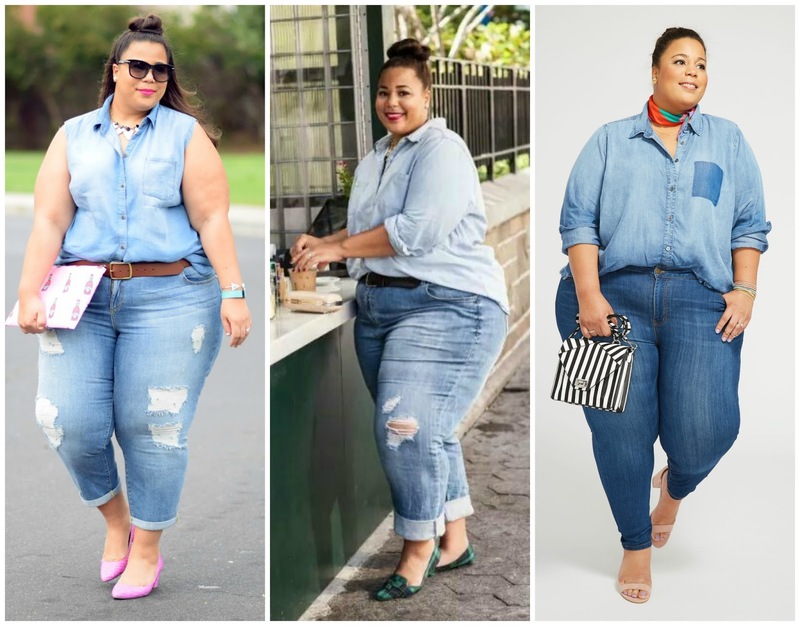 How to Make Denim on Denim Pop! Add a pop of color - Don't overthink this. 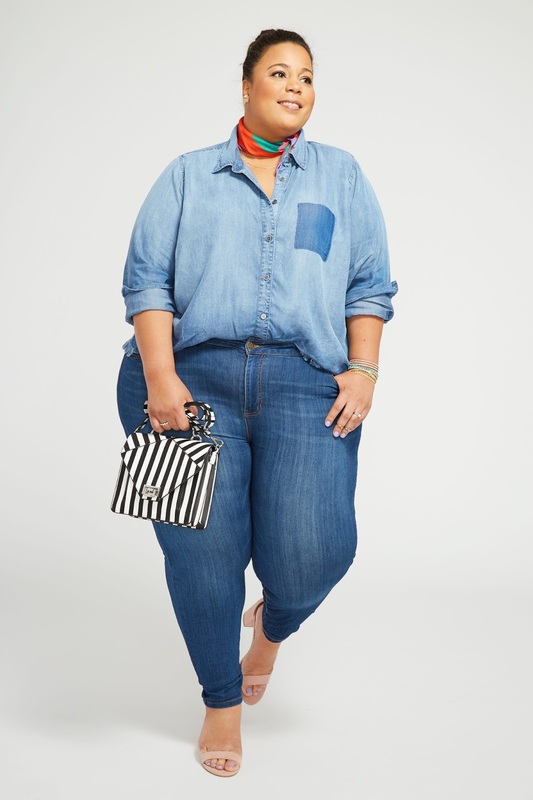 Denim matches everything so there are literally a million things you add. A super bright bag, fun shoes, and or your pinkest lipstick my personal favorite is Girl About Town by MAC. Get your denim right - You can wear any wash of denim, but the easiest to pair is a distressed pair of light wash denim jeans. The distressed portion gives you instant coolness. For me, denim on denim is all about being comfortable, so I lean towards wearing a boyfriend style jean with this look for a relaxed fit. Get the fit of your denim top right - Denim tops are easy to find, but finding the right fit can find the hard part. 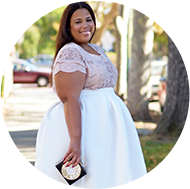 You don't want your top to be too tight especially in the arms. Denim (also call chambray) tops usually don't have stretch in them and the arms are usually small. I size up all the time on chambray tops. Fly shoes are a must - I love a interesting flat and a strappy sandal. Tuck or untuck - I tuck my shirts all the time, but you can wear this un-tucked. I would suggest a traditional button-up shirt with a shirt tail. When I do wear un-tucket. I leave a couple of buttons at the bottom unbuttoned. 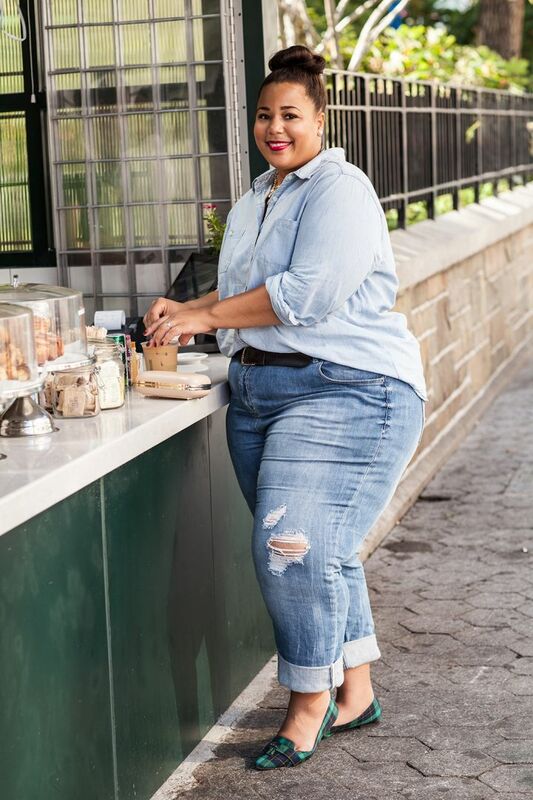 Bonus* My favorite denim brands that fit me best are Melissa McCarthy, Rawan, and RachelRoy.